A light breakfast or a quick snack. 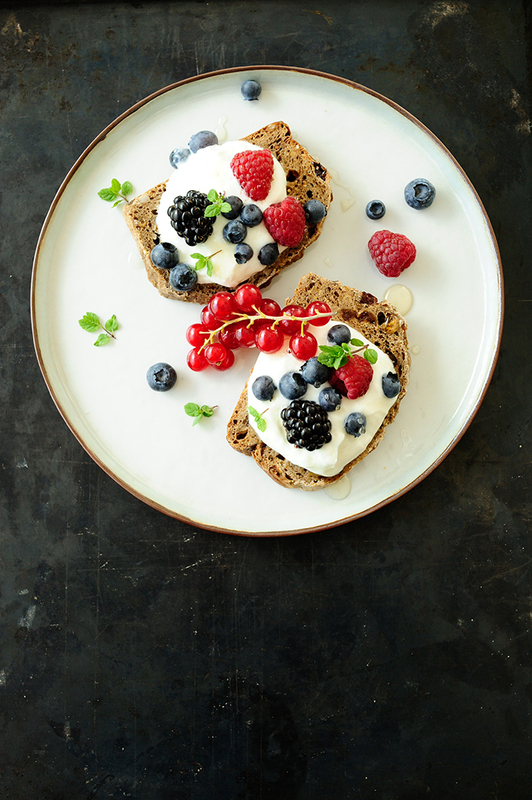 Multigrain sandwiches with fromage blanc, honey and full of summer fruit. 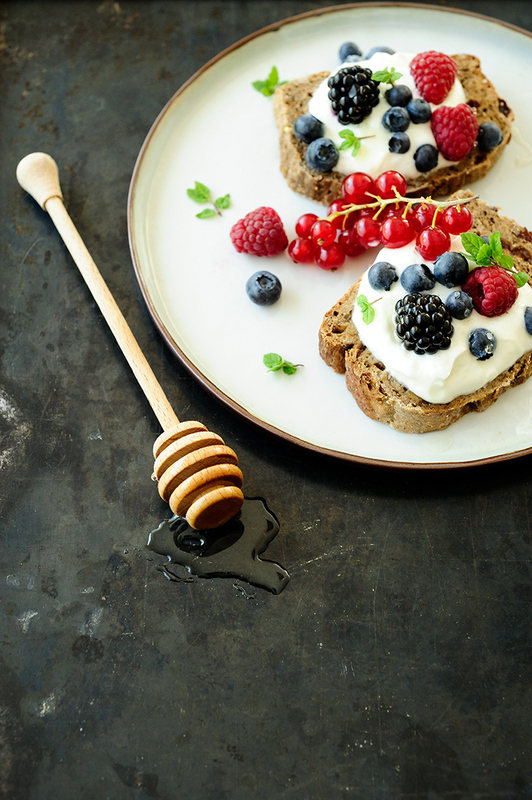 Arrange slices bread on plates, spread with cheese and pour the honey. Garnish with fruit and mint. Enjoy!